One of my earliest childhood memories is being too shy to sit on Santa’s lap. I’d eagerly wait in line, but when it was my turn, my knees would shake, my mouth would turn dry, and sometimes I’d even start crying. This story came up when my sister and I were in college, with Mom bemoaning the fact she didn’t have a picture of either of us with Santa. So like the good daughters we are, we went to the mall and sat on Santa’s lap, then stuck the picture in her stocking on Christmas Eve. Another gift we’ve given was when we learned relatives had had a tough year, financially, and weren’t sure they would be able to give their four children gifts for Christmas. Our finances were in good shape that year, so the hubby and I talked it over and decided to buy a few gifts for the family. They were overwhelmed by our small gesture of generosity, and the look on the kids’ faces was thanks enough. What’s the best gift you’ve ever given to someone? To find out more, click here. Sorry I was absent over the weekend; I attended the Indianapolis 500, and enjoyed time with my uncle and cousin from Florida, as well as my parents. Will Power won; there were only a handful of crashes, and no one was seriously injured. I was happy when Helio Castraneves crashed, and was unhappy when Danica Patrick spun out on lap 68. She’s now retired from racing, but I’d love it if she decided ‘just one more race’ next year! What’s the best gift I’ve ever gotten? When I was ten, I’d have said my electric blanket. I was always cold, and the arrival of that blanket on my tenth birthday made my day! Now I could crawl into a toasty warm bed….but I neglected to shut it off a few times and nearly set my bed on fire. A scorched blanket scared me into remembering to shut it off every morning. That and my parents taking the controls for a week as punishment. A year later, my first clock radio appeared on Christmas morning….yay! I could now be more responsible, right? Nope…..after a week, I was sleeping through the sounds of the morning news. This was before I got the one with the blaring Beep! Beep! Beep!, or even the snooze button. I do remember setting the alarm for 6am one day, when we were getting ready to go on vacation, and being rudely jolted out of a sound sleep by the Star-Spangled Banner. I’d turned the volume up AND placed the clock on a high shelf! I think it woke up everyone in the house, ha ha! In recent memory, my best gifts have been on my wedding anniversary or Mother’s Day (the two are a week apart). My 1st Kindle Fire….the 2nd Fire…..yay! I can read, check Facebook, AND watch Netflix on the same tablet, and not have to drag my laptop to the coffee shop, if I’m meeting friends:) Plus, since I received my 1st Smart Phone two years ago, no need to even take the Kindle, unless I want to continue reading. I take the Kindle with me on trips, to various appointments, and if I get bored at karaoke while waiting my turn, then I scroll through FB or Twitter on my phone. I’d also be remiss if I didn’t mention a particular birthday gift that arrived eleven days before my 26th, and that would be my firstborn. My ‘firecracker’ arrived 2.5 years later, along with our ‘almost Leap-Year’ child ten years after that. Thankfully, he took five hours to be born after my water broke at 10:30pm on Feb 29th! I just hit a milestone this past weekend: All She Ever Wanted turned NINE years old last Saturday! It’s currently unavailable, but I’m hoping to have it back up and even in print form, along with the three related stories, by this fall. I’m currently at my mom’s house again, helping her ‘find’ her family room. My mom has a catalogue ‘addiction’; mine is Facebook. I love the fact I can store my pictures on that site, since my hubby objects to me paying to have my pictures printed. This is an ongoing battle between us, since pre-digital, I would spend upwards of $50 or more on prints, photo albums, etc, every six months or so. I also love the fact I can keep in touch with family and friends on a daily basis, even friends who have moved across the country. Hell, I have ‘friends’ I’ve never met, but ‘met’ via Yahoo groups and reading their blogs ten years ago! I not only have my personal page, but I also have author pages, both sadly neglected at times, when one pen name has ‘taken over the brain’. I would be remiss if I didn’t mention my bi-weekly tweets about my karaoke updates. When Facebook fails to refresh and I’m bored, I will start scrolling through my twitter feed. But otherwise, this site is also sadly neglected. Currently, my phone’s camera app is malfunctioning, but I CAN take pics with Instagram. I don’t always post the pics there, but on occasion, you can find me there too. 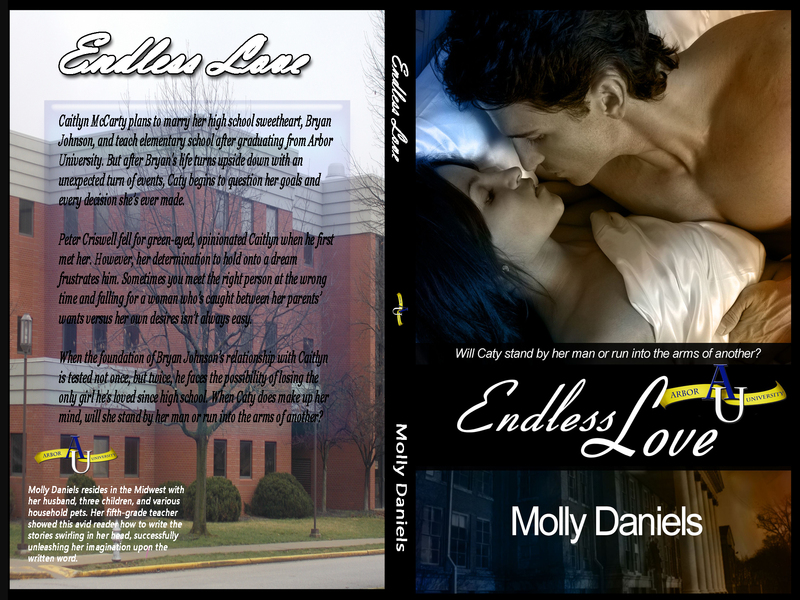 I do keep up with Molly’s Musings, and when Kenzie has a release, I’ll probably post it over at Kenzie’s Place. I got tired of having to log in and out of Kenzie’s site, so I decided to utilize this blog space for this (and possible) future blog hops. I really only pay attention to two groups now: MFRW and Romance Books 4 Us. I used to be a moderator and regular contributor to RB4U, until I simply ran out of books to promote and needed to get back to the writing. I skim the topics and read the Social Questions and Friday’s Craft Questions. If I have something to contribute (and the time! ), I chime in. So what about you? Are you more active on one particular social media? Curious about other author’s ‘addictions’? I’m in my fifties now, and was a late bloomer, never having a ‘real’ boyfriend until college. Oh sure, I had male attention in high school, but more simply the hand-holding kind, but not the kind where you spend hours making out and planning your futures. No, mine were simply in the moment, and we were happy to spend as much time together between classes as we could, then go our separate ways on the weekends, or at least for Sundays, since we were both in band. The most romantic gesture I remember from my pre-wedded years was when a guy I’d met three days before drove two hours to simply watch a baseball game with me on TV. He could have stayed home and talked on the phone with me during those 2-3 hours, or talked me into meeting halfway at a bar or something, but he didn’t. That was the first time a man had ever gone out of his way in order to be with me. That showed me he felt I was special. Unfortunately, several weeks later, he proved to be an a$$hat, but I will always treasure that first moment. So yeah, it’s not all hearts and flowers, but I had plenty of that from guys who never stuck around longer than three months. Want to see others’ most romantic moments? The question this week is, do you set up character or setting profiles? I first took this to mean, do I work up a character sketch or look for pretty pictures of what I think the setting for my next book is going to be? Short answer, no. I sit down and let the characters tell me what they look like or where they are. The only time I have to plan in advance is when I realize there are multiple people in the work, and I need to keep track of pertinent info, so not everyone looks/sounds the same. Then I stop and create a ‘bible’ for that book or series, much like Molly’s Arbor U series or Kenzie’s The Chosen series. After I wrote down the title, I wondered if the question meant FB or Pinterest profiles? I’ve seen friends create FB pages for their different series, or Pinterest boards. I don’t do that….my time is better spent writing and marketing my work than having to post a daily question or manage multiple pages. Social Media is already a black hole of procrastination for me, and I’ve even neglected my own author page(s) at times! Okay; I promised you the new links to the print versions of AU: Instead of posting each one, here’s the link to my Amazon Author Page. Enjoy! Here’s my favorite of the six covers; I took the picture for the back page.